The Tadich Grill will be open again today despite a two-alarm fire on Monday. San Francisco's oldest restaurant survivor, is a survivor once again. 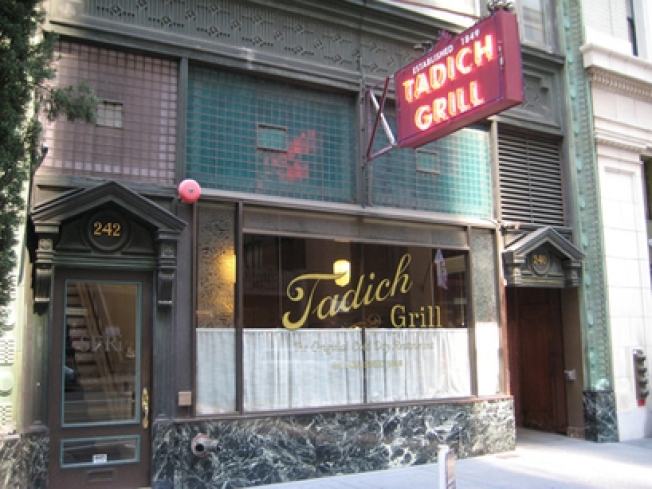 Tadich Grill, the City's oldest restaurant, reopened for business this morning, less than 24 hours after a fire threatened to lower a curtain on the beloved San Francisco institution. General Manager Rick Powers stood in the front dining room, looking on as workers made last minute preparations to open the doors at 11 a.m. He said the only casualty from the fire was the broiler, which hadn't yet been turned on. 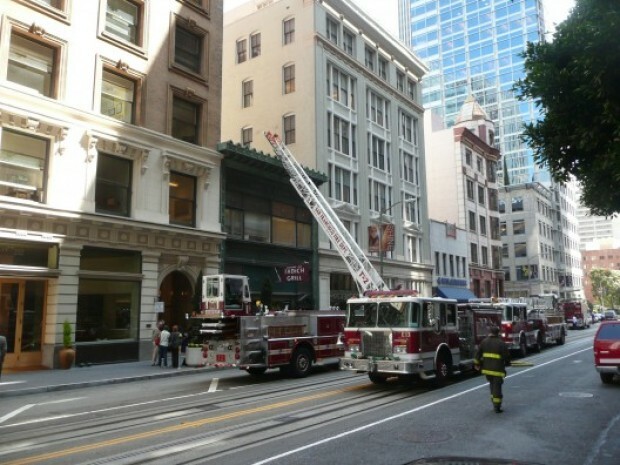 The fire broke out about 11:20 Monday morning in the broiler as the restaurant was about to open. Witnesses in adjacent high-rise buildings could see flames leaping out of the flue. Three dozen firefighters descended on the blaze. Powers credited their quick response with preventing the fire from spreading. Powers said the fire did about $20,000 in damage. Crews replaced the damaged flue overnight , and by lunchtime Tuesday, diners were once again lined-up for pan-fried sand dabs, steaks and martinis. Powers says he stayed in the restaurant until late Monday night, fielding calls from concerned patrons. He said calls came from as far away as New York, with everyone wanting to make sure "the Tadich" was okay. The restaurant was founded in 1849, and moved to its present location in the sixties. Powers says he spoke to descendants of the previous owners, and aside from surviving the 1906 earthquake and fire, no one could remember another disaster in its storied history.